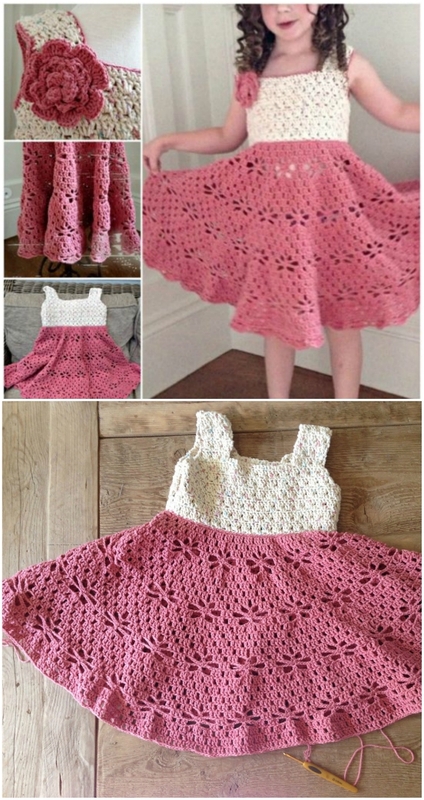 You will love our Crochet Girl Dress post that includes the sweetest ideas you will find. Check them all out now and be sure that you Pin your favorites. There is something about a well dressed little girl that makes your heart melt. 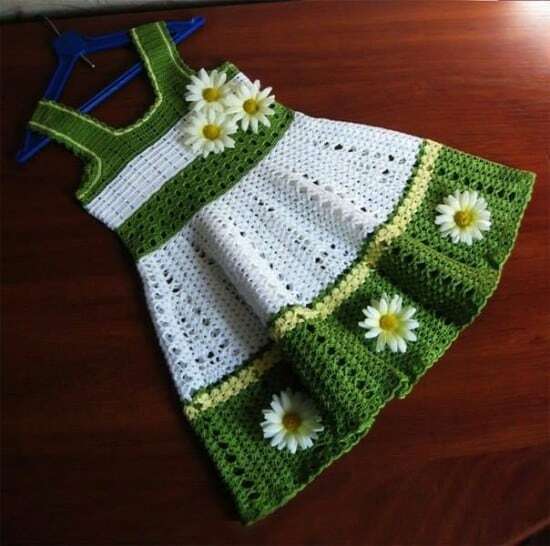 Well, that will happen all the more with this stunning collection of Crochet Girl Dress Patterns. We have handpicked some of the most popular ideas and there is something for everyone. You will love the different textures and styles like this adorable Crochet Daisy Dress featured above. This gorgeous lacy toddler dress comes with excellent pattern instructions including a diagram.